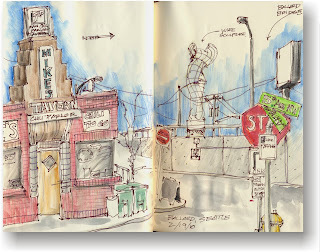 For years I've wanted to go to Mike's but until I started sketching this scene I never really noticed that all the signs were steering me away! Great sketch! How's the chili?